The hottest new battle royale is about to be revealed today at 8 AM PST (Pacific Central Time) via an official Twitch stream. 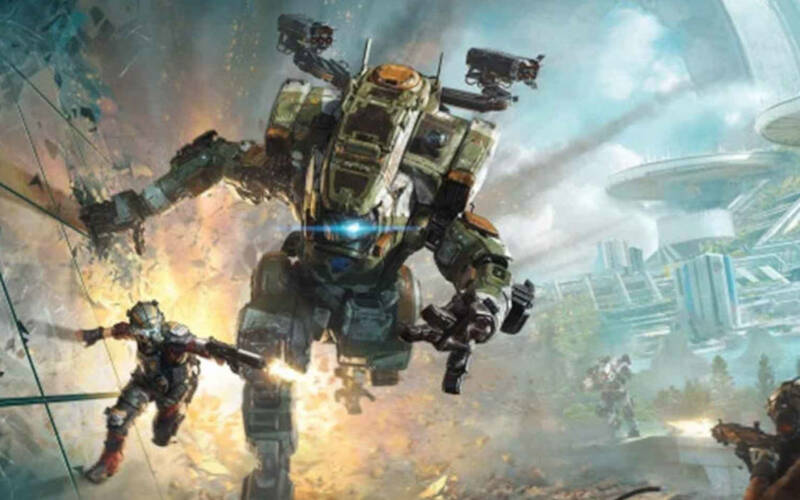 Titanfall’s battle royale offshoot, Apex Legends, has been anticipated for a long while now and it’s finally happening. Though not an esports outright, the game promises to have sufficient potential to dominate headlines. The Titanfall series take place in their namesake world, the Titanfall Universe, a dystopian future where the frontiers of known space are torn asunder by warring factions. The arrival of Apex Legends in a few hours’ time is set in this intense, conflicting scenery. Developed by Respawn Entertainment and published by Electronic Arts (EA), the game continuous the Titanfall lore, but only just. The competition will draw elements from all established battle royale games so far, with a play field of 60 players, broken down into teams of 3 each. No footage of the game is immediately available either, with Respawn Entertainment keeping everything under tight wraps. Players have been reportedly flown in to play the game, but noting has surfaced since, bar what esports insider, Rod Breslau has been able to confirm with people who have experienced Apex Legends first hand. Mr. Breslau has confirmed that the game will feature teams of 3 players each, but it will not use the franchise’ signature style, i.e. Titans. The game will also be based on a Valve’s Source engine, although modified to meet the expectations of a modern audience. Based on his Tweets, we know that Apex Legends will have a micro-transaction system similar to the one used in Overwatch. More excitingly still, Apex Legends will feature a class or heroes system, which means the game will be shaping itself as a curious amalgamation of Overwatch, PLAYERUNKNOWN’S BATTLEGROUNDS and Fortnite. Only this time, it will be set in the Titan universe. Mr. Breslau clarified that Twitter user The Quartering was the first to report the news. Based on what’s known about the game so far, Apex Legends won’t have Titans, but somewhat more importantly it won’t have two cool mechanics known as wall-running and side-hopping that added the franchise its character. Though this is to be regretted, we will have to wait and see for an official release to be absolutely certain of that. An Esports Future for Apex Legends? So far, the majority of Battle Royale games to date have tried to launch themselves as esports-oriented games. Bar H1Z1, PLAYERUNKNOWN’S BATTLEGROUNDS and Fortnite have so far been successful, although admittedly, not the entire focus has been on competitive video gaming. Where to Watch Apex Legends Live? With a litle over 5 hours to go, the mystery surrounding Apex Legends is about to be lifted, although the cloud of speculation and excitement is already suffocating. Keen to be the first to catch a glimpse of Apex Legends? Tune in. Apex Legends is the latest Titanfall-inspied game developed by Respawn Entertainment. More information about the class-based competitive battle royale will come soon.